Summer garden – Live. Laugh. Love. Lake. 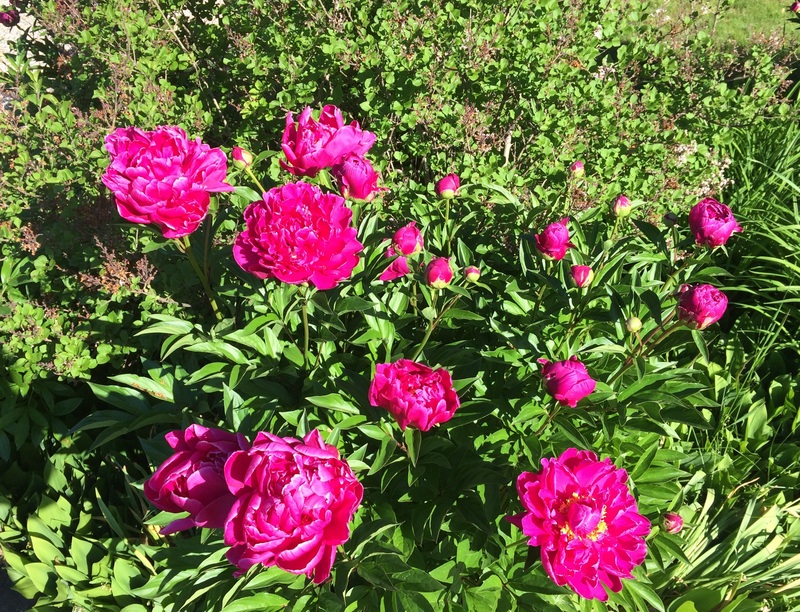 Peonies are one of my favorite flowers, both in the garden and in a bouquet. When we first went through our lake house it was in the middle of the 2014 Deep Freeze and everything was buried in a mountain of snow, so we had no idea what the yard contained. But the wife who lived in the house was an artist and the entire house was decorated beautifully, so I was optimistic that she would have great taste in the garden as well. She did not disappoint! 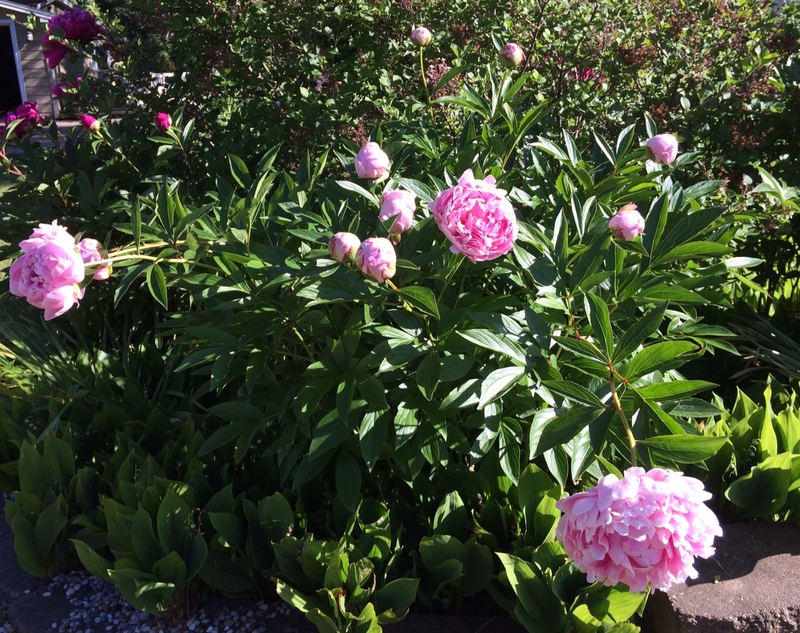 I was still discovering peony plants as recently as two weeks ago. Last weekend most of them were in full bloom, and I snapped a few pictures before cutting some of the blossoms for a bouquet. There was one plant that I unfortunately did not get a picture of before its blooms had faded. It was a gorgeous peachy-coral, a color I’ve never seen in a peony before. Just one blossom was still intact so I gave it a place of honor in the middle of the bouquet. 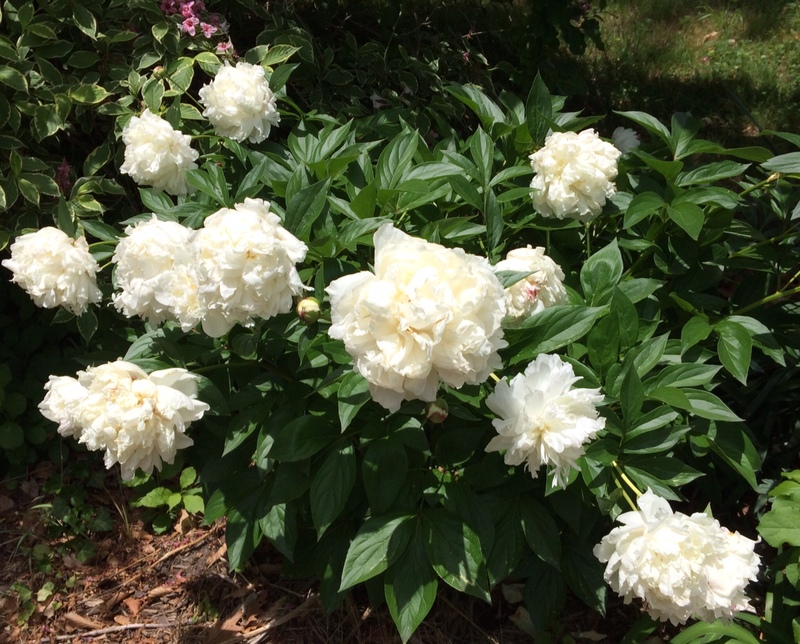 Besides the peonies, we have several hydrangea plants (my other favorite flower), day lilies, lilies of the valley, azaleas, and lots of seagrasses. Maybe others too that I just haven’t identified yet. I’m excited to see the garden bursting forth with other flowers over the course of the summer. 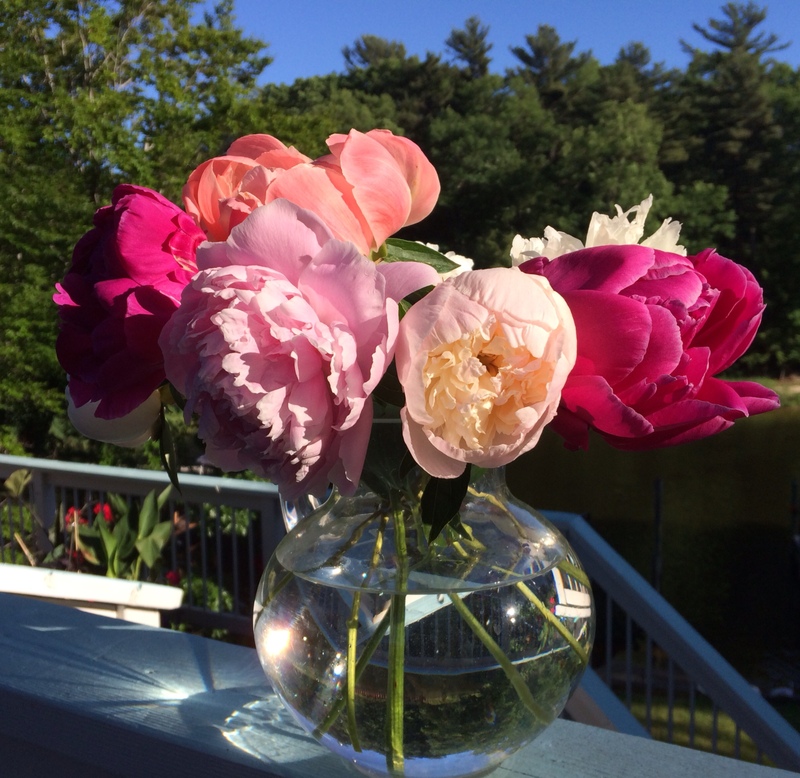 This entry was posted in In the Garden and tagged bouquet, garden, peonies, summer flowers. Bookmark the permalink.